Stonehenge: can we have our National Trust back please? The British tend to be very supportive of 3 things: The NHS, the National Trust and Sir David Attenborough and although they get vocal about the faults of the first two. they’d be furious if someone tried to take them away. It wouldn’t be Britain without them. But just lately something’s gone wrong at the Trust. To their credit, for years they (and their boss) have valiantly fought “conservation creep” (the drift in the official definition of conservation from “safeguarding” to “maintaining and managing change”), as befits a charity that works “to preserve and protect historic places and spaces – for ever, for everyone“. But recently at a notorious and (we thought) uncomfortable live AGM it was announced they wouldn’t be opposing a “short” Stonehenge tunnel (thus ditching “safeguarding special places” in favour of “managing change”). All of them? Or were some of them wishing they were in a tunnel? I don’t know. All I do know is that the Trust wasn’t always like this. Remember their press releases a decade ago, e.g. “National Trust calls for full delivery of Stonehenge vision” (2003) and “Don’t sell Stonehenge short” (2004)? Tragically, it is widely acknowledged that the above has been the pivotal factor in getting the short tunnel adopted as Government policy. Given its laudable record you’d think the Trust could be trusted to express the true reality, i.e. that tunnels harm nothing but access roads destroy everything (and the short tunnel requires dual carriageway-sized trenches inside the WHS). In 2002 English Heritage’s chief archaeologist said of a trench proposed for the then cut and cover scheme: “the thought of gouging that massive trench across such a precious landscape just brought tears to my eyes.” The Trust’s leadership should reveal to the public if their trench will make them cry but instead they (and EH) seem to be implying the trenches will bring net benefits and that the damage can somehow be worked round or minimised. But they can’t and it would involve sleight of hand to present a plan that purported to. The archaeological landscape there is just too rich, there’s no room to insert a harmless trench. The current bottom line is that the NT is proposing to support bequeathing to future generations a Stonehenge fashioned through the juxtaposition of short-term electoral manoevering and the fact its two guardians have taken their eyes off the ball. “This ancient place will finally have the future it deserves” wrote the Trust’s archaeologist recently. Actually, isn’t it the reality that if those trenches are dug Stonehenge will have the future it doesn’t deserve, forever, for everyone. 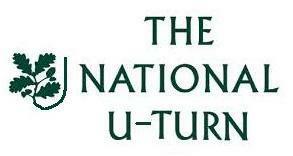 Is it the role of today’s National Trust to countenance such a thing? Can we please have back the Trust that most Trust supporters (and it’s employees perchance?) would wish for? If you’re opposed to what’s happening, please sign this petition for those living in Britain or this petition for the rest of the world. Or you might like to contact the Trust by phone, post, email or online and tell them their current stance isn’t in line with your instinct or what their instinct used to be and they should do something both radical and right: think again. The Trust is not a natural Government lapdog so this is one of those rare occasions when public opinion just might change what’s happening.